Novel Matters: Upmarket books – what are they and why are they hot right now? Upmarket books – what are they and why are they hot right now? Simply put, it's fiction that blends the line between commercial and literary. To further examine this, let's break down those two terms. Commercial fiction, essentially, refers to novels that fall into a typical genre (thriller, let's say). Commercial fiction can sell very well because it usually has a tight premise/logline ("Someone is trying to kill the president!") and people like reading a category like thrillers because it's exciting. Literary fiction refers to novels that don't fit into any standard genre classification - romance, mystery, sci-fi, for example. Literary fiction requires the highest command of the language. Not pretentious, over-the-top purple prose - just simply excellent writing. . . It has commercial potential. It has the ability to infiltrate lots of book clubs and start discussions and take off as a product. It's a win-win for everyone. I've heard a lot of agents say that they are looking for "literary fiction with a commercial appeal," or something like that. Well, one word that does the job of those six is "upmarket," and that's why you hear it so much. If you're writing narrative nonfiction or upmarket fiction, chances are, there are a ton of agents out there willing to consider your work. Some examples of upmarket fiction (just my opinion): Water for Elephants; Jodi Picoult's books; The Lovely Bones; Michael Chabon's books. 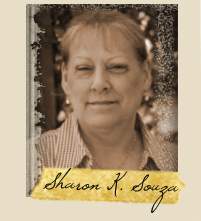 Francine Rivers has called our own Bonnie Grove “the Jodi Picoult of Christian fiction.” Sharon Souza's careful, penetrating descriptions of heartbreaking dilemmas and the people caught up with them are masterful. 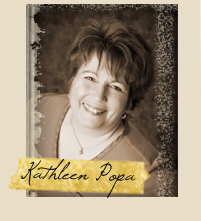 Katy Popa makes desert places into characters and embues the people she writes about – some exotic, some earthy, some everywoman – with something pungent, beyond words. 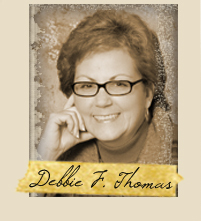 And I know why both Debbie Thomas and Patti Hill were nominated for Christy Awards: Each of them befriends the reader and then takes them on an adventure of wonder, a landscape of words with luscious surprises. What do you think of this concept, upmarket fiction? Who are you reading now who qualifies for this term? Thanks for this! I think this is what I write! Oh, you definitely do, Mary! And please keep doing it! I'm going to thank you, too, for this new (to me) term. It's exactly what I've tried to write, though I suspect someone else is going to have to say whether or not I hit the mark. But... since I'm preparing a pitch for the upcoming Mount Hermon conference, I will seriously consider using this word. word verification: myllund: a Welsh word, I'm just sure of it. At last, a two-word handle for what I aspire to write! Upmarket fiction. It beats the long-winded, rambling explanation I came up with to describe what I write. Or for what I love to read. I love this because I hate the question, "What do you write?" From now on, I'll tell them I write upmarket fiction, along with Mary, Lori, and my cohorts at Novel Matters. That should clear things up. I love your post, Latayne. And I love that so far the commenters have been like tacks to a magnet, myself included. "Yes, upmarket fiction! That's what it's called --that thing I do!" And yes, Mary, as Debbie said, you are an upmarket fiction machine! Welcome to Novel Matters. Patti, even in your comments, you make me laugh. Latayne, I think that's one of the nicest things anyone's ever said about my writing.Pungent. I even like pungent. Thank you! I am in the best of company on this blog, and I feel so privileged. Mary, I'm with the others. You're definitely upmarket. When I grow up I want to be you. Lori, you MUST look us up at MH and tell us all the news about Kindred. We will be praying for you. I love this post. Ever since I was a kid I loved what we are now calling Upmarket books. I never knew what to call them. I always referred to them as "books about the stuff that happens to people". Not brilliant, but hey, I was a kid! When I sat to write my first novel (Talking to the Dead) I wondered how I would answer the question, "What are you writing?" I didn't have the answer then, but I do now, and it is an enormous help. It is entirely possible to write books with enormous appeal that can also be studied at the university level as works of literature and art. I, like so many of you, are striving for as much. Thanks so much for this term. It answers a lot of questions, although I would have simply used the term "literary" for most of these works. I think "upmarket" sounds more readable for most folks. I agree, Mary DeMuth's "Daisy Chain" is certainly upmarket as is Kathleen Popa's wonderful, "Feast of St. Bertie." "Shape of Mercy," by Susan Meissner. I imagine you would call "Water for Elephants (most wonderful book I've read in a long time) upmarket, but I still want to put the term "literary" on it, because it's just absolutely perfect writing that is bound to span the test of time. 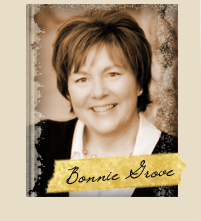 I've just now discovered Bonnie Grove and waiting for one of her books to arrive! After reading this post I'm even more anxious. And I certainly hope someone discovers Lori Benton at the Mount Hermon conference, because her writing certainly falls into this category as well. 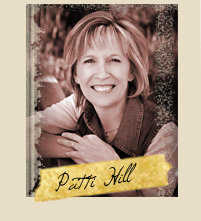 She takes you to wonderful far-off places with deep-thinking, compelling characers. Okay...now to rethink my own writing... my writing probably naturally falls into this category, but I recently decided to go for a genre book simply to break in. Perhaps I need to reconsider? Thanks for this wonderful blog. You girlfriends are awesome! Look forward to seeing all six of you later this week. I'm going to adopt this word too, because this is what I've always enjoyed best: the excellent story-telling of the better genre books, with the depth and resonance of the better literary books. Yes! I agree. Latayne has just described the books I've always loved best. When I pick up a new novel, I always read the first paragraph (and sometimes the last!) hoping it will promise that delicious mix of beautiful language and startling insight that makes a story the dark chocolate of the literary world. 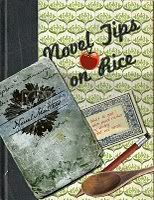 It's why I tell friends that Novel Matters is a blog about the reading and writing of sumptuous fiction. Latayne's suspense novel, Latter Day Cipher, is a splendid example of a genre work that crosses the line into upmarket fiction, from the eerily meditative first page to a climax at once unbearably tense and stunningly beautiful. 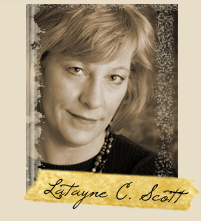 You can read a great interview with Latayne at http://tinyurl.com/dzsan2. Sandy, thanks for your kindness. Judy, we can't wait to see you at Mount Hermon. Janet, what a succinct way of restating it. And this is so great. I feel like I've learned a new language. Yes, I'm going to have to agree with Kathleen (see -she said it first, I'm not biased!) that _Latter Day Cipher_ is absolutely in this category! It's completely captivating. I'm trying to puzzle out the etymology of 'upmarket,' (a new term for me.) 'Market' obviously refers to the commercial side. Where does 'up' fit in? It makes me think of 'upscale', but that connotes 'pretentious' to me, which I don't think is what you want to convey. The term makes me think of writing that poses as literary, but makes artistic compromises for the sake of bigger sales. Since I'm sure that is not what any of you intends to do, could someone explain the origin of the term to me? Appreciated this post. The word makes perfect sense. The term 'high concept' was around for awhile. I will add this new term to my writing knowledge. Looking forward to learning more.